Featuring the Peony Pink Wood Cremation Urn. 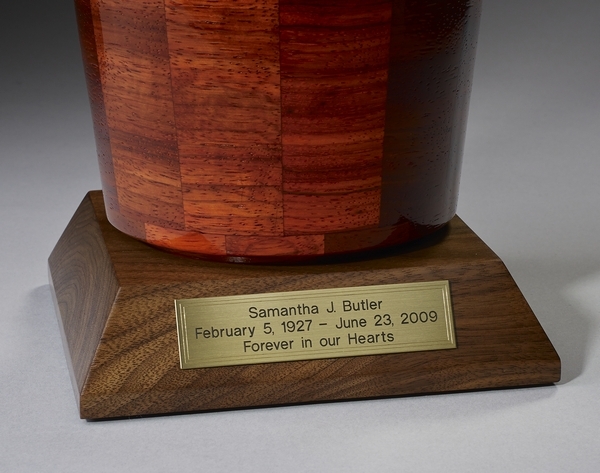 This elegant turned wood cremation urn is hand crafted in the U.S. using various inlaid wood segments, turned, finished, and polished to perfection. Non-engraved items usually ship the same day from the midwest if ordered by 11am CST.